Local road practitioners across the country play a critical role in addressing crash risks at the local level and may be able to identify the specific or unique conditions that contribute to crashes within their jurisdictions. The Local Road Safety Plan (LRSP) offers a foundation for consensus and focus. 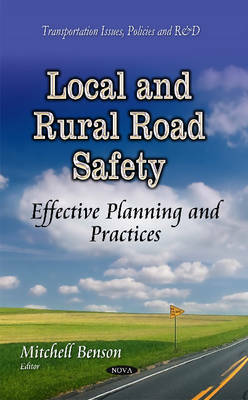 It defines key emphasis areas and strategies that impact local rural roads and provides a framework to accomplish safety enhancements at the local level. The LRSP helps communities take a proactive stance in reducing and preventing local road fatalities and injuries. This book guides the development of an LRSP. It provides information to local practitioners about identifying stakeholders and partnerships needed to build support, tools to analyse data, and resources to identify safety issues and select safety strategies.